Marks and Spencer. On Special €8.79-25%=€6.59. Hailing from the warm, Mediterranean-influenced area of southwest France, this M&S bottling received a Commendation in last year’s Decanter Wine Awards, and it fully deserved it. Classed as an IGP wine and made from the Colombard and Ugni blanc grapes, better known for Armagnac production, this relatively humble wine is the best value bottle I have had this year. Unoaked, this wine is full of fresh zesty fruit on the nose- young green apples, citrus fruits and a hint of peach and pear. And this follows through on the mouth. 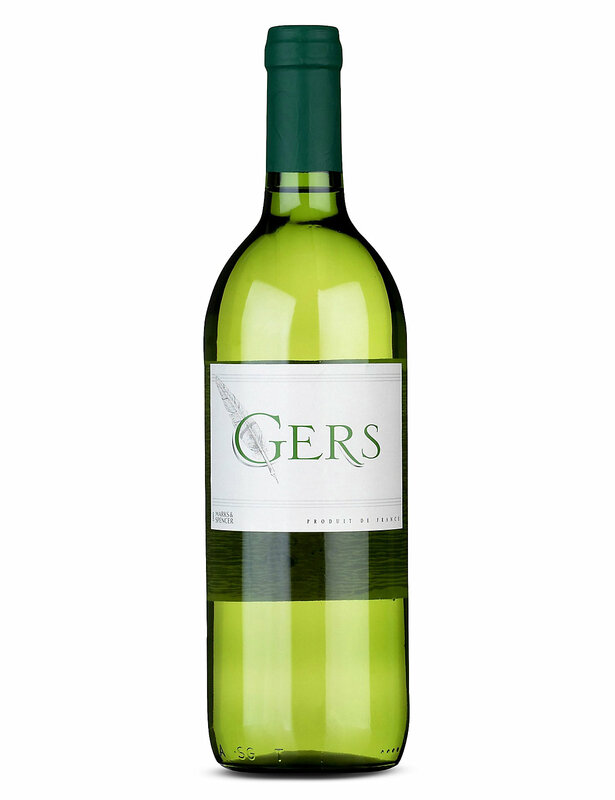 Light to medium bodied, it has a lovely refreshing, crisp acidity. Green apple, red grapefruit and gooseberry hit on first taste, followed by a more mellow finish that hints at peach and pear. This is a fabulous, Summer wine (particularly at the €6.59 I paid) that should be drunk young and served well chilled. Pairs beautifully with crisp Summer salad or baked fish.